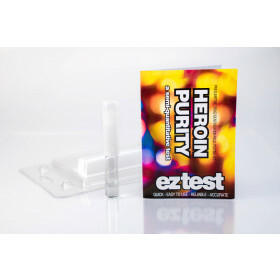 The Marquis test is the original Ecstasy testing kit and was the first ever available to the public. 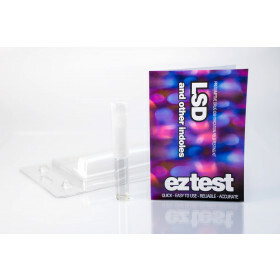 It is the first step in the EZ test range to indicate the presence of Ecstasy. 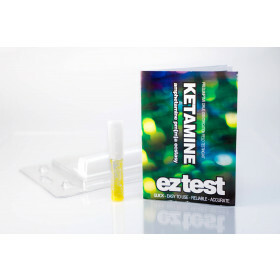 The Marquis test will turn a different colour for any of the Ecstasy-like substances MDMA, MDA, MDE, MBDB, DXM, 2C-B, Amphetamine plus also DOB, DOI, Methylone, Butylone, Naphyrone and Opiates. The information sheet and colour chart included, should correspond to these various substances. 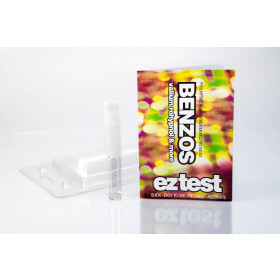 All EZ tests use a chemical reagent absorbed in silica gel, which is held inside a glass ampoule. When a sample is added to these chemicals inside the ampoule if a reaction occurs a colour change will take place. 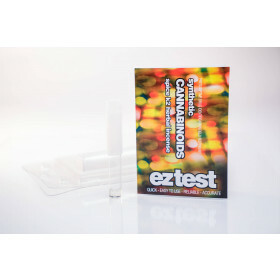 This colour should be compared to the colour chart included on the instructions within the package, to give an indication as what could be in the sample. If your unopened ampoule is damaged please contact the retailer it was purchased from. (1) Crack open the ampoule. (2) Insert a small amount of the sample. (3) Put the plastic lid on and shake well. 4) Compare the colour change to the chart. 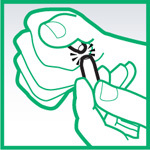 After testing please remember to dispose of the ampoule and sample safely. 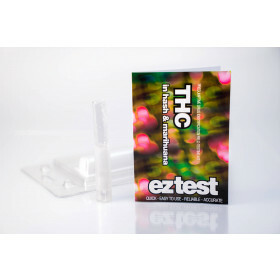 The EZ testing kits are purely a guide to help analyse a substance. 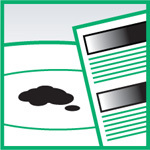 It is advised not to touch any substance and extensive laboratory testing of samples is recommended for more detailed results. 270,86 руб. Начиная с: 135,77 руб. 746,41 руб. Начиная с: 375,62 руб. Начиная с: 1 922,88 руб.